The competition is open to current university/college students in Ontario who will graduate no later than fall 2020. They will compete in teams of four and are expected to submit their concept documents during the pre-qualification round. 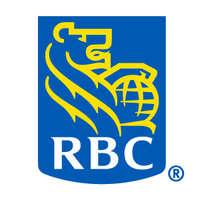 The selected teams will pitch to a judging panel at RBC WaterPark Place Auditorium on Saturday, Oct 20, 2018. The contest result will be announced at the end of the “People in Cyber“ conference followed by an awards presentation. The cash prize awarded to a team will be divided equally among registered team members. Each team member will receive a payment for their portion of the total prize. All cash prizes are in Canadian dollars. The prize must be accepted as described in these rules and cannot be transferred to another person or substituted for another prize. Any substitution of a prize, in whole or in part, is at the sole discretion of the organizing committee. People are considered as the weakest link in cybersecurity! What do you think is the best way to ultimately solve the “people problem” in cybersecurity? Team members are encouraged to attach their resumes with the submission. These resumes will be accessible to our event organizer and sponsors for the purpose of potential career opportunities. Submissions must be made in English. After the pre-qualification round, the selected teams will pitch to a judging panel at the “People in Cyber” Conference on October 20, 2018. The contest result will be announced at the end of the conference followed by an awards presentation. The last day to submit concept documents is September 28, 2018. All concept documents will be evaluated by a judging panel. 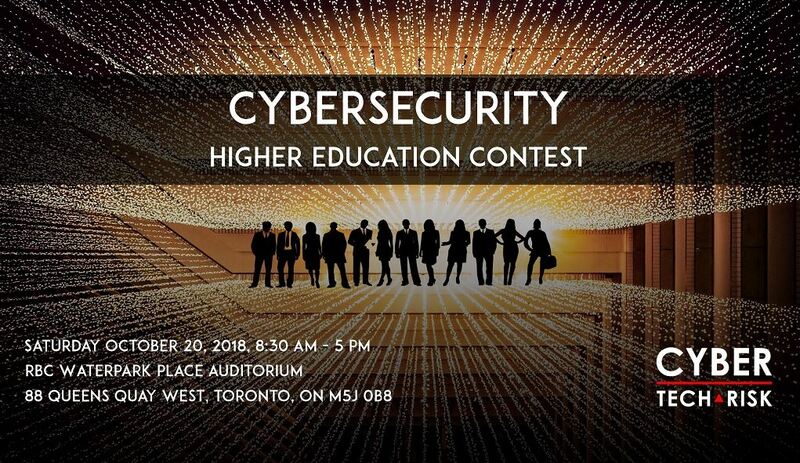 All finalists will compete at the “People in Cyber” Conference on Saturday, October 20, 2018, at RBC WaterPark Place Auditorium, 88 Queens Quay West, Toronto, ON. Any team competing in the contest must submit their final presentation files by October 18, 2018. These slide decks will be uploaded to a laptop and can be recalled at the request of the corresponding teams. On October 20, 2018, teams must check-in no later than 8:30 am with the contest administration staff to participate in a mandatory briefing before 9:00 am. The registered teams will take a draw to determine the sequence for their presentation. All teams MUST RETURN AND CHECK-IN AGAIN with the contest administration 30 minutes before their designated time slot. Any team failing to check-in at the designated time will be disqualified. After each presentation, there will be a 5 minutes Q&A period between the judging panel and the contestants. The response can be from a designated speaker or from any member of the team. Judges will grade the presentation based on the predefined criteria. Judges may consult with each other before scoring. The contest will continue until 3:00 pm with a lunch break in between. Scores will be collected and tabulated after all teams have presented. At approximately 4:00 pm there will be a winner presentation announcing the first three (3) winning teams followed by an awards presentation prior to the closing of the conference. Any team members who are under the age of majority in Ontario by October 20, 2018 must have a parent or legal guardian sign and submit a consent to participation and an acknowledgement and acceptance for the event on Oct. 20, 2018 and bound by the Rules of the Contest prior to submitting of any component of their team’s submission. Teams must consist of max four (4) participants. Only one submission per team will be accepted. EACH PERSON CAN ONLY BE A MEMBER OF ONE TEAM. If it is discovered that a student is a member of more than one team, all team entries for all teams on which that person participates may be disqualified. All members of a team should be from the same university or college. If necessary, a team may change team members during the registration period only. Any change to the team members during the registration period must be sent in writing to contest2018@cybertechrisk.com and received no later than the end of the registration period. Form a team with max four (4) eligible members of your university or college. Each team is responsible to pay an administration fee of CAD $99 (plus Eventbrite fee) at the time of registration. Please note, this fee is non-refundable, regardless of whether your team will enter the final contest at the conference or not. After the Eventbrite registration, the team contact will receive an email with the instructions on how to submit the concept documents. The deadline for the team registration is Sunday, September 23, 2018. The deadline for submitting the concept documents is Friday, September 28, 2018. Team members also acknowledge that the organizer, Cyber Tech & Risk or any of its affiliates or subsidiaries may already be in the process of independent development and innovation for various products and services and therefore any disclosure of information or ideas submitted by teams may not be new to Cyber Tech & Risk or its affiliates or subsidiaries/sponsors and would not affect or impair Cyber Tech & Risk‘s proprietary rights to its own innovation. The deadline for submitting the final presentation file is by 9 am October 18, 2018. The competing teams in the final contest are expected to produce well-rounded presentations. Cyber Tech & Risk will ensure the teams have access to a projection screen and a power outlet. Please note, access to a public Wi-Fi connection may not be available. Presentations which requires an internet connection is not advisable. If needed, the competing teams may bring their own equipment to the final contest, such as computers, product prototypes, display board etc. Libraries, plug-ins, and modules that are public and freely available may be used and we encourage participants to use such resources. However, judging will be on the content the team develops, and not the libraries, plug-ins, etc. The use of third-party web services and APIs are also allowed; however, judging will be based on the creativity of the teams developing the solution and how all pieces are pulled together to form a unique submission. All code, snippets, graphics, layouts, etc., that teams wish to bring with them must already exist in the public domain well in advance of the development period. Code existing in the public domain and any open source code must be clearly identified and delineated from the code developed independently by the teams. Any licenses for code existing in the public domain and any open source code should be carefully reviewed, especially licenses where derivative works are deemed to be licensed under the same terms and conditions. Teams can collaborate with non-team members to review and gain input into their ideas. Any ideas that are derived from these collaborations and are included in the submission are assumed to be the original work of the team members who have registered for the contest. Submissions and presentations must be made in English. Judges’ decisions are final and conclusive on all matters without the right of appeal. All submissions and presentations will be evaluated by judges chosen by Cyber Tech & Risk from a range of business backgrounds (“Judging Panel”), using a set of pre-determined evaluation criteria. Cyber Tech & Risk reserves the right to change the date and time of any component of this talent contest, including but not limited to, the judging and winner’s presentation in the event of unforeseen circumstances of any kind. ALL TEAM MEMBERS MUST ATTEND THE JUDGING AND WINNERS’ PRESENTATION ANNOUNCEMENT. IF ALL TEAM MEMBERS ARE NOT IN ATTENDANCE, THE TEAM MAY, IN Cyber Tech & Risk’S SOLE DISCRETION, BE DISQUALIFIED FROM THE COMPETITION. In order to be declared a winner, a team must meet all the conditions described in these rules. The winning team members, and in the case of minors a parent or legal guardian, agree to complete and sign a waiver Form. By being a member of a team submitting an entry into the talent contest, all team members individually consent to the collection, disclosure and use by Cyber Tech & Risk and its agents and/or representatives of their personal information to process the entry and administer the talent contest, including but not limited to awarding prizes, potential recruitment opportunities and for publicity purposes. By signing up for this contest, you agree that the organizers may record or photograph the event, (including you, your likeness, voice and any guest you bring), and use it publicly or privately in any form of media, including for commercial purposes. By attending, you consent to the recording and photographing and grant the organizers an unrestricted, perpetual, non-exclusive and sublicensable license, to take, use, display, perform, or distribute for any lawful and commercial purpose any recordings or photographs. All costs and travel expenses of participating in the talent contest are at the sole cost of the team members. Submissions shall not be returned to team members. All decisions regarding this talent contest and the selection of the winning teams remain with Cyber Tech & Risk and its promotional agencies and are final. No prize substitutions will be made, except for the right of Cyber Tech & Risk to make a prize substitution of equivalent or greater value in the event the prizes, or any portion thereof, are unavailable for reasons beyond Cyber Tech & Risk’s control. Cyber Tech & Risk, its affiliates and respective advertising, contest administration and promotional agencies are not responsible for printing, distribution or production errors and may terminate, modify, extend any portion of, or withdraw, this talent contest, at any time and for any reason whatsoever, without requirement of individual notice and without liability at their sole discretion. By entering this talent contest, team members agree to hold Cyber Tech & Risk, its affiliates, subsidiaries, sponsors, advertising and promotional agencies, their respective directors, officers, employees and assigns, harmless from and against any and all claims and liability arising out of or in any way connected with the operation of this talent contest and use of a prize. By entering the talent contest, team members, should their team wins, agree to the use of their names, addresses (city only), photos, and/or images for publicity purposes relating exclusively to this talent contest without compensation. Cyber Tech & Risk reserves the right to disqualify team members whom it finds to be in violation of these Rules and Regulations or tampering with the entry process. Cyber Tech & Risk reserves the right to refuse an entry from a person whose eligibility is in question or who has been disqualified or is otherwise ineligible to enter. This talent contest and the terms and conditions contained in these Rules and Regulations, shall be exclusively governed by and construed in accordance with the laws of the Province of Ontario, Canada and the federal laws of Canada applicable therein. The parties hereby attorn to the exclusive jurisdiction of the courts of Ontario. Any litigation respecting the awarding of a prize or this talent contest must be initiated in the City of Toronto in Ontario, Canada. If for any reason the talent contest is not capable of being conducted as intended by Cyber Tech & Risk, including adverse weather condition or due to computer viruses, bugs, tampering, unauthorized intervention, fraud, technical failures, or any other cause that corrupts or interferes with the administration, security, fairness, integrity or proper conduct of the talent contest, Cyber Tech & Risk may, at its sole discretion, disqualify any entrant or team deemed responsible for such misconduct and cancel, terminate, modify, or suspend the talent contest. CAUTION: ANY ATTEMPT TO DELIBERATELY DAMAGE ANY WEB SITE OR INTERFERE WITH THE LEGITIMATE OPERATION OF THE TALENT CONTEST MAY BE A VIOLATION OF CRIMINAL AND CIVIL LAWS, AND CYBER TECH & RISK RESERVES THE RIGHT TO SEEK DAMAGES AND/OR OTHER RELIEF FROM ALL RESPONSIBLE PERSONS TO THE FULLEST EXTENT PERMITTED BY LAW. Participation in the talent contest constitutes acceptance of an agreement with these Rules and Regulations. This talent contest is void where prohibited or otherwise restricted by law. Cyber Tech & Risk reserves the right to modify (including, but not limited to, extending any portion of the Talent Contest) these Rules and Regulations or to cancel this talent contest for any reason whatsoever including, but not limited to, in the event of technical corruption, virus, bugs, non-authorized human intervention or other technical problems which may arise from time-to-time which in Cyber Tech & Risk ‘s opinion undermine or destroy the integrity of this talent contest. No liability or responsibility is assumed by Cyber Tech & Risk, resulting from user attempts to participate in this talent contest or if required, download any information necessary to participate in this talent contest. In the event of a dispute regarding who submitted an online entry, the entry will be deemed submitted by the authorized account holder of the e-mail address submitted at the time of entry.